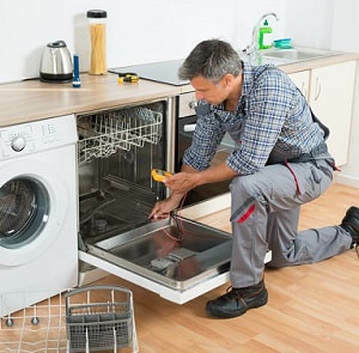 Looking for help repairing your broken dishwasher in Stamford, Connecticut or one of the surrounding towns? We can get your dishwasher fixed and working again quickly and conveniently. Stop washing those dirty dishes by hand and give us a call at 203-303-9983 so we can come out to your home and fix your appliance. We field a ton of questions from people living on Stamford's edge pertaining to if we actually service all of the city and surrounding towns. Driving down from one edge of the city to the other can be quite a hike, but our appliance repair technicians are hired to do just that. We repair appliances throughout Fairfield County and Stamford, CT is part of the gold coast isn't it? Needless to say, our techs would be happy to help service your dishwasher and get it running smoothly again. Our Techs will happily head out to your home no matter what part of Stamford that you live in. If you're ready end the frustration associated with a dishwasher that isn't working just pick up the phone and dial 203-303-9983 or learn more about our Dishwasher Repair Service in Stamford, CT.